Welcome to my first post from the Western Cape. It’s certainly a splendid start! 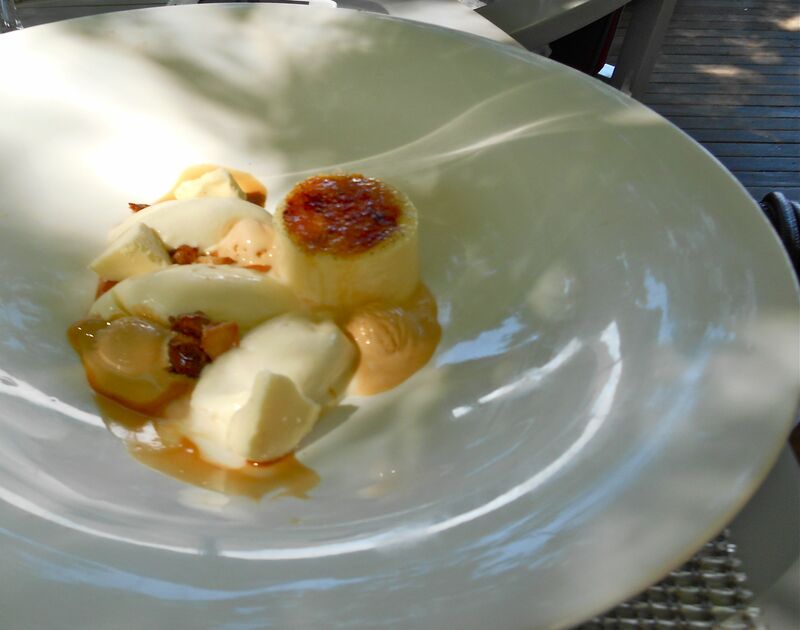 Dining in the Cape Winelands takes serious planning in the summer. 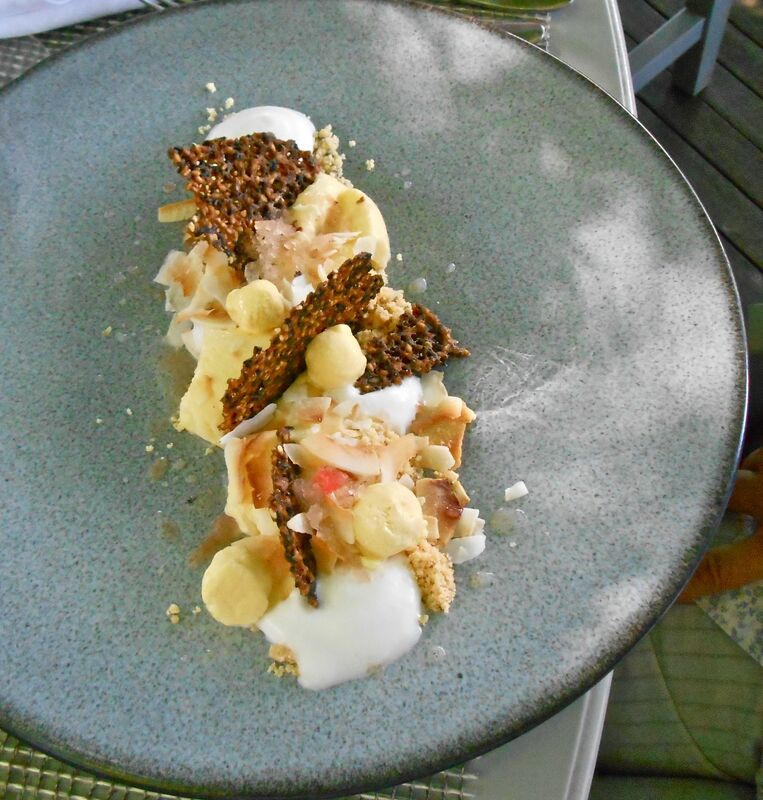 The top restaurants get booked up very early, so we sat down in September and made a list of places we simply had to visit. 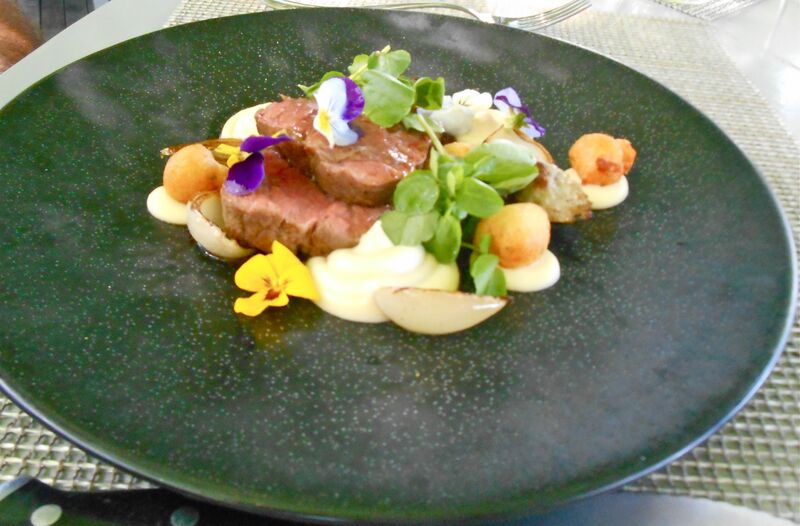 Delaire Graff was one of them and our table was booked way back then for a Saturday lunch. Delaire was founded by Simon van der Stel in 1679 and in 2003 was acquired by current owner Laurence Graff – the chairman of Graff Diamonds. 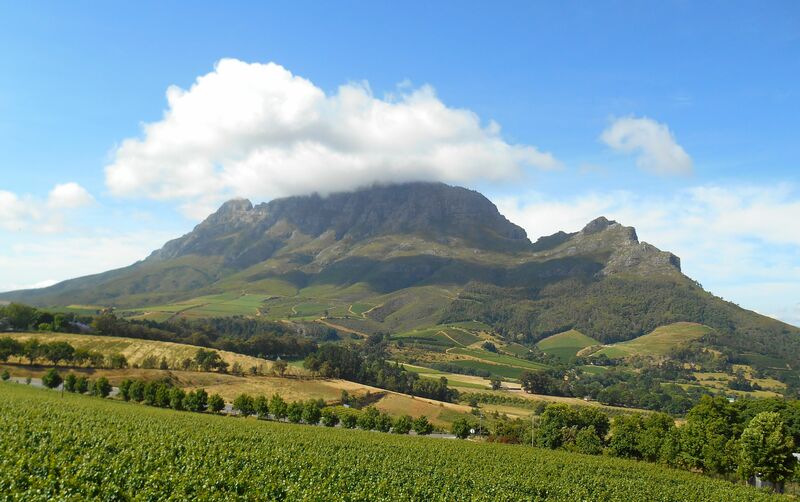 There’s a wine estate, boutique hotel, spa and two lovely restaurants. 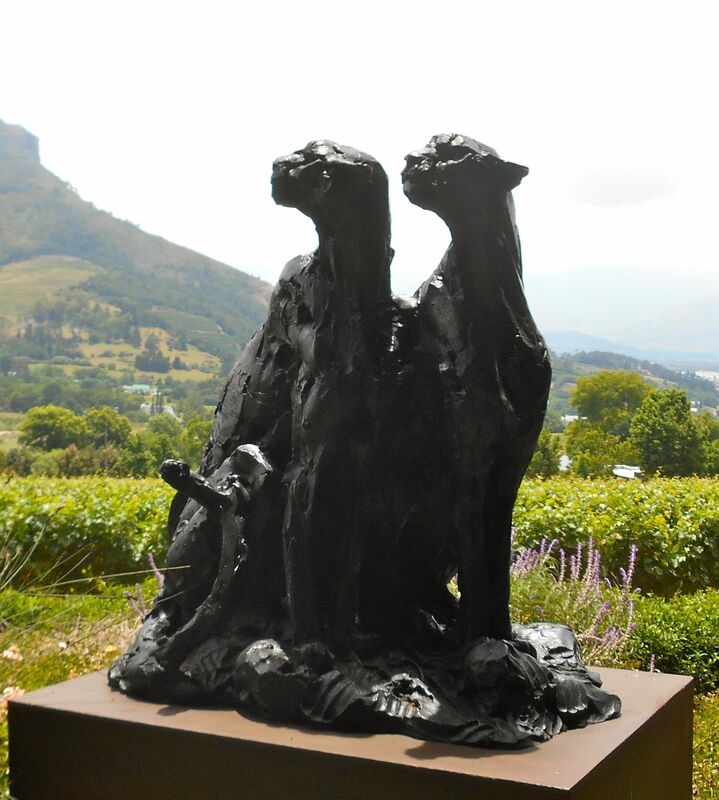 Nestled between majestic mountains, the estate is also packed with original artwork, including several of local sculptor Dylan Lewis’ magnificent cheetahs. From the moment you arrive, there’s so much to see and absorb. 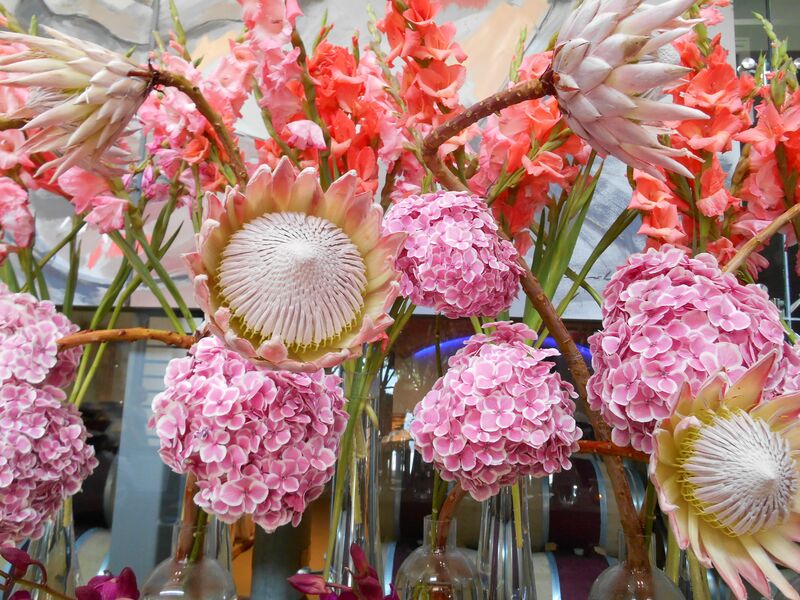 A meander through the gardens is a must, there’s a fabulous tasting room with spectacular views, original art scattered throughout and floral displays to amaze. Oh, and did I mention the diamonds? There’s a shop next to reception from which they sparkle and and wink at you as you walk past heading for the restaurant. These are serious diamonds, more to drool over than own…unless your bank balance is on the substantial side of substantial. On a beautiful December afternoon we sat on the huge terrace overlooking the mountains and valleys packed with vines and perused the menu. I felt engulfed by one of those moments of perfect happiness. 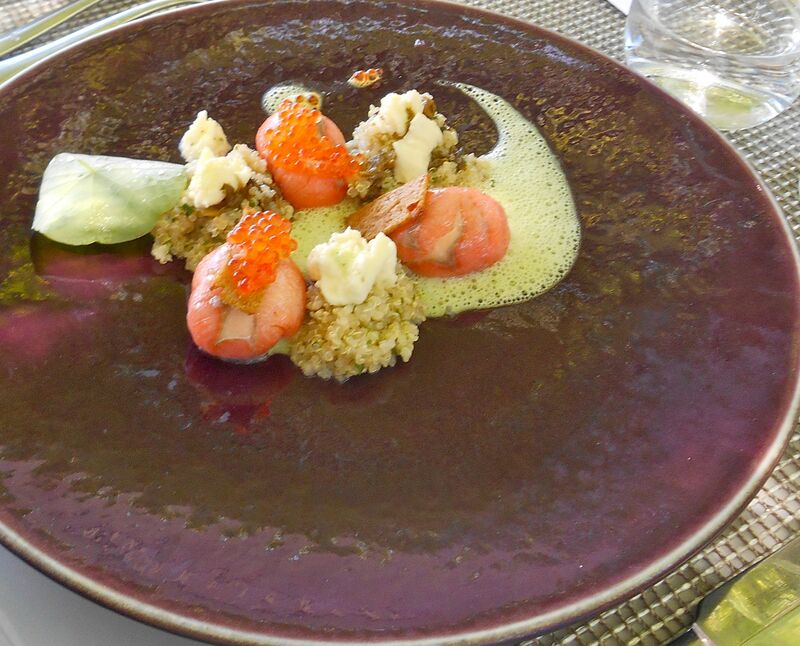 It almost even overtook my usual menu indecision… The menu is small with dishes that sound intricate and arrive at the table looking like more original works of art. Beautiful food to go with a beautiful venue. Cured beef silverside was served with roast artichoke and eggplant, celeriac and charred eggplant. A delightful parcel on a slate plate scattered with beautiful little leaves and flowers. 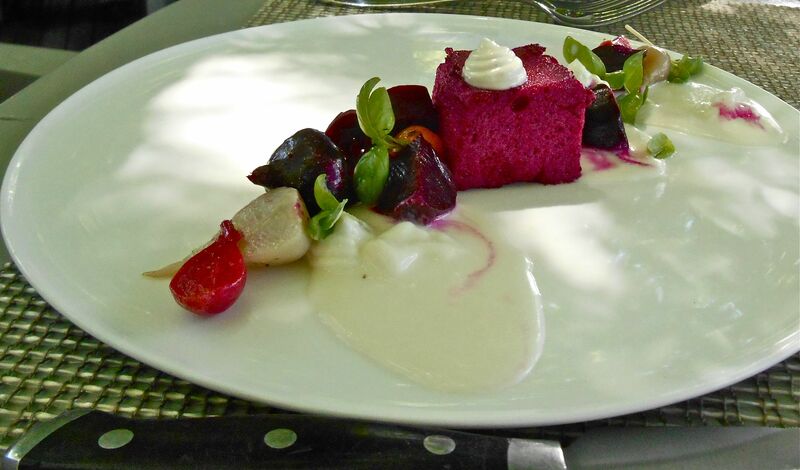 An imaginative plate of beetroot included pickled beetroot, beetroot marshmallow, goat’s cheese and horseradish. A picture of pinkness with amazing textures and flavours. A fishy starter of cured rout, nasturtium, salt cured buffalo mozzarella, smoked roe, capers and quinoa. Just fabulous. The starters are surprisingly generous, one of our party ended up having this duck as her main course and it was plenty to satisfy. 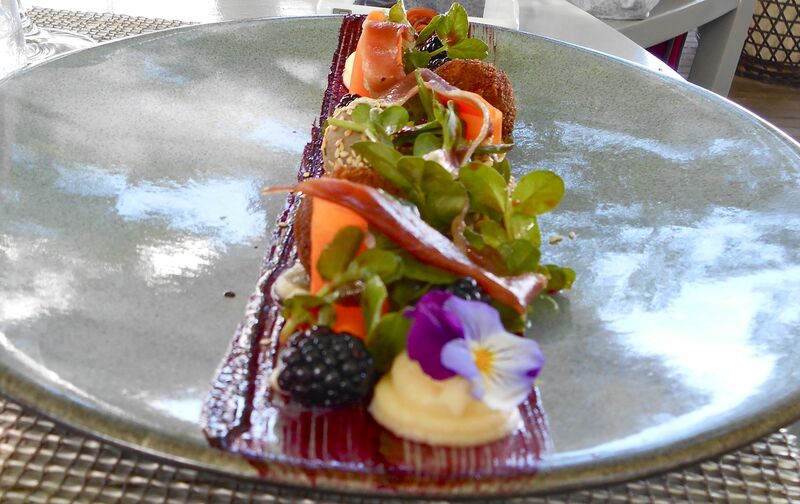 Air dried duck, liver parfait, pickled mulberry and carrot, honey parsnip puree. My rich and luscious main course was pork belly, slow cooked egg yolk, potato gnocchi, bacon and cheese. 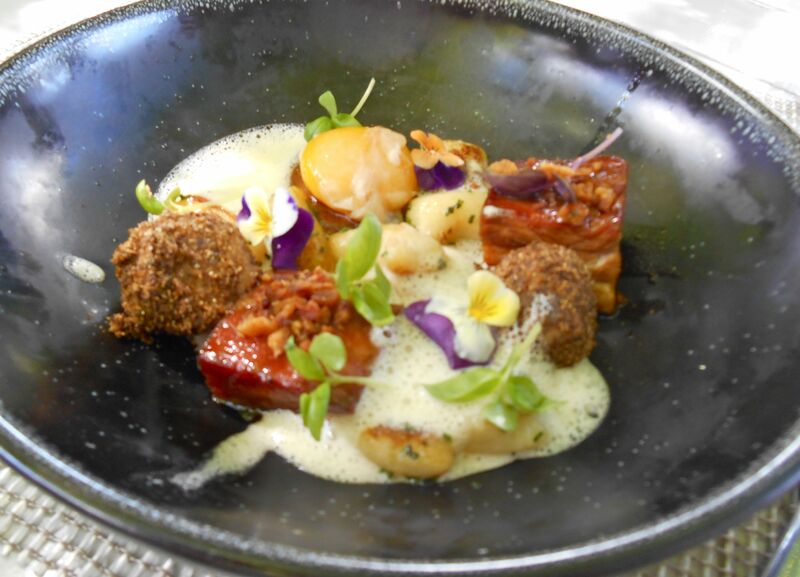 Beautifully tender beef skirt was served with sweetbread, roast onions, cauliflower and brown butter. 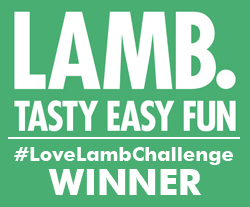 The generous portions meant that we couldn’t do the dessert menu justice, though we did manage to sample a couple of delights – the creme brulee and salted caramel and something fabulously titled “lots of chocolate flavours and pistachio kisses”. Wow! 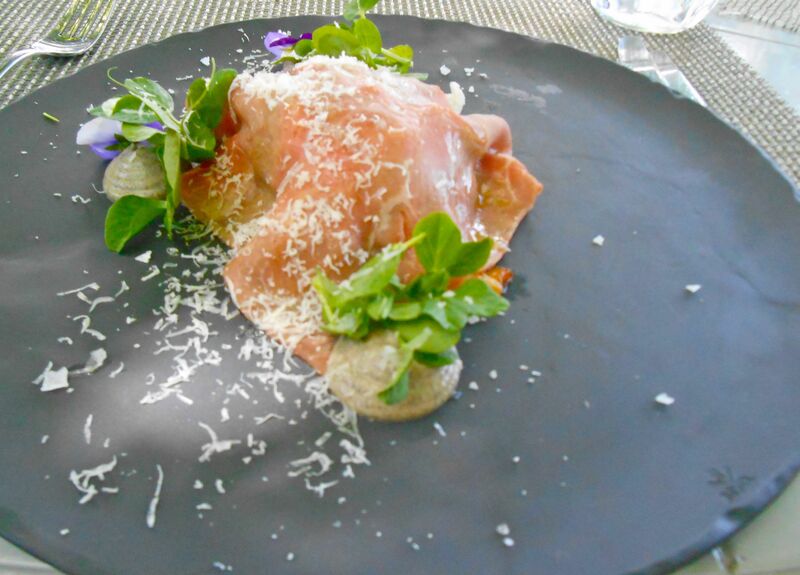 It’s not cheap to eat at Delaire but when you take the whole experience into account, it’s more than worth the price. Take your time to enjoy everything on offer and spend a few hours in what seems like a dreamworld at times. Their second restaurant, Indochine, has Asian influences. It’s got to be my duty to try it too and fulfil the entire dream. new website looks fab! And Delaire looks proper! Thanks Ang. Well worth a visit. Love your blogpost on SA! Are you living here now or on holiday? Would love to meet up for glass….or 2 of wine! I’m in Cape Town for a few months. Would love to meet up. Where are you?